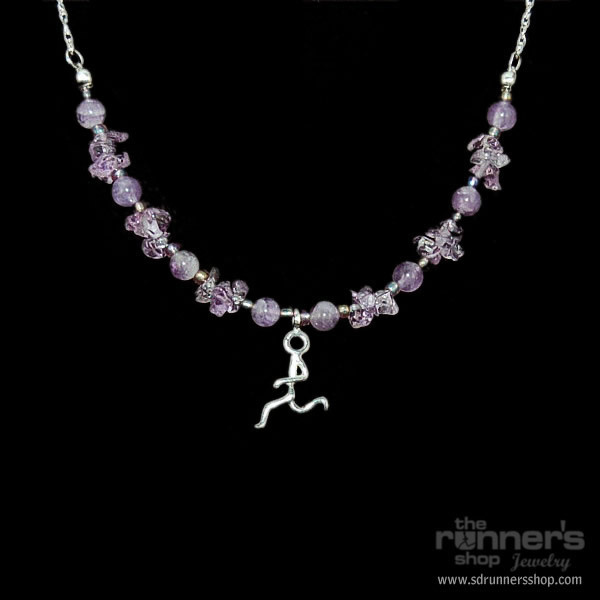 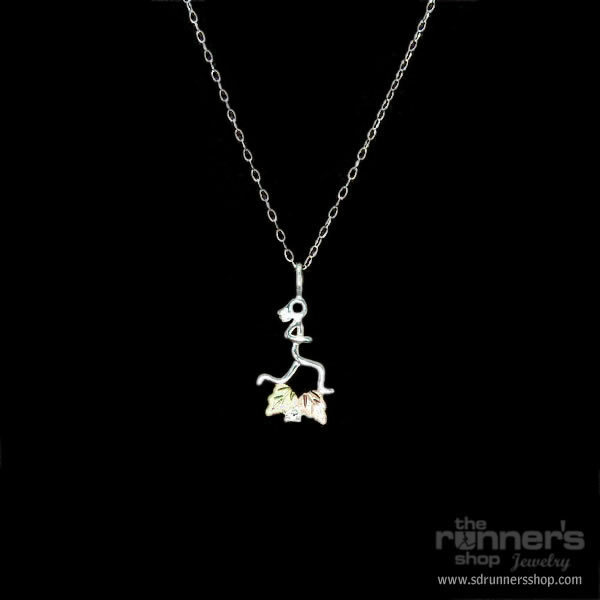 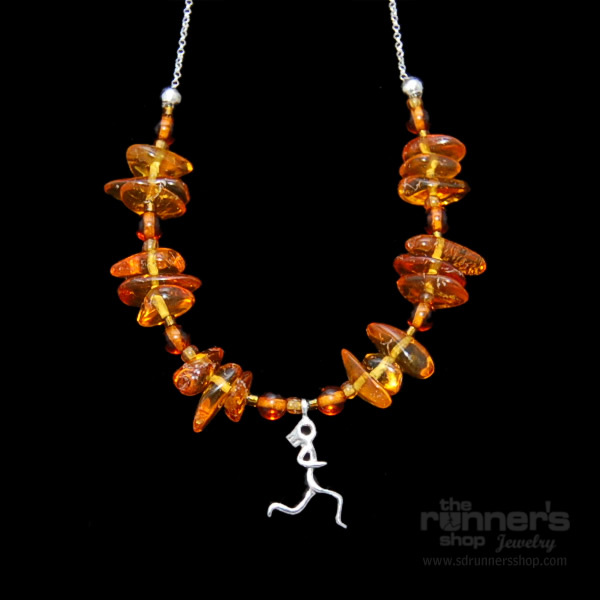 Sterling Silver Urban Runner with a 14K “Hermes” stickman. 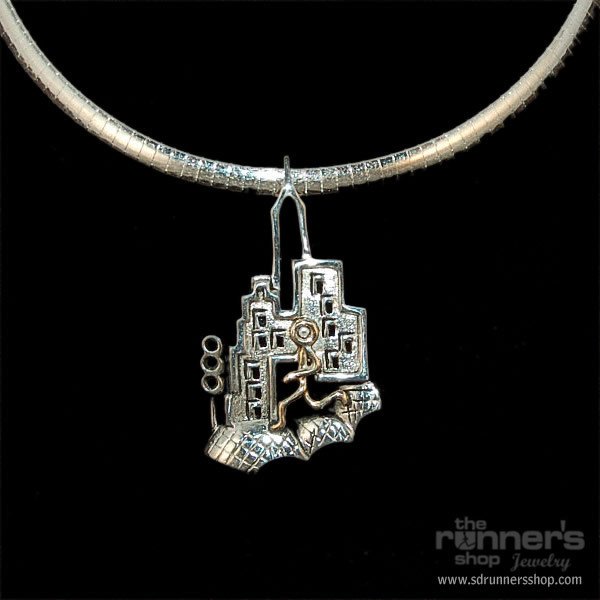 The scene even includes a stoplight on the corner. 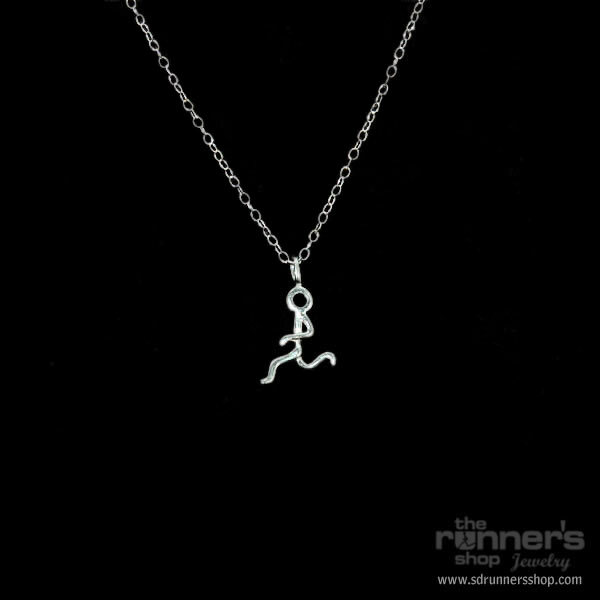 All on an 18″ sterling silver omega chain.